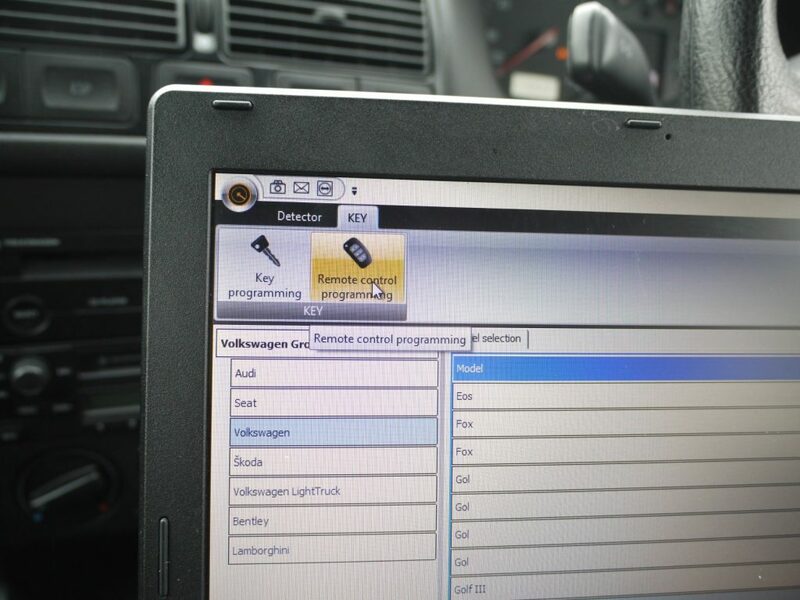 Here we look at the process of programming a VW Golf MK4, using SuperVAG, via OBD. This guide takes you step by step through the process of coding a key to a non canbus vehicle. The procedure is the same for all VW, Audi, Skoda and Seat models, via OBD, on all models before the use of precoded component security. On most models this began in 2008, but some Audi models used this precoded component security on models from 2003. Ensuring conditions are correct for programming is essential for a swift job. Flat and low batteries are a constant pain. A low battery can cause communication issues and programming issues; so always check the battery charge level and apply a booster pack if it is below 12V. It doesn’t hurt to always attach a booster pack on VAG vehicles prior to programming to ensure voltage throughout. Check if an aftermarket radio is fitted as this can hamper the pin code reading or communication with ECU if it has been fitted badly. 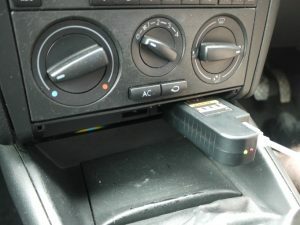 If communication is not possible, try removing and disconnecting the aftermarket radio. Ensure you have located the OBD plug position and that it’s not damaged. Using a tool, check the wiring is sound up front; this can save wasted time and in severe cases save damage to your programming kit. Ensure you have the correct pre-cut key and chip. Plug the SuperVAG unit into the OBD plug. Open the green ‘SuperKEY’ icon. Select the model – in this case Golf IV. SuperVAG will begin communications with the car. The new screen opens – select detect login pin. 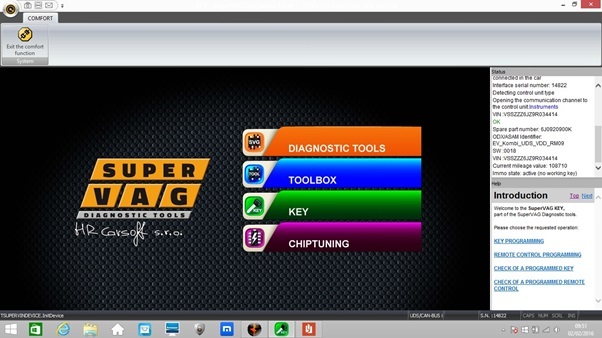 SuperVAG will start to read the ECU listing data down the right hand side of the screen. Once found SuperVAG will show a box displaying the pin code for the vehicle.In this case the pin code is 1907. You will now be instructed to turn the ignition off and on. This completes the 1st stage of connecting to the car and extracting the pin code. Next we click on key programming. You will be asked to enter the pin code and press yes. You will be asked to enter the number of keys you want to program – in this case we have selected 2. You will be asked to cycle keys to complete programming; to do this simply switch off the ignition and remove key 1. Switch the ignition on and off with key 2 – switch back on with key 1 and the job is complete and the 2 keys are programmed to the car. In this case we are programming the remote via diagnostics; it is also possible to manually code remotes to many VAG vehicles and the manual procedure will be listed at the end of this guide. Select ‘remote control programming’ and click the icon for this. 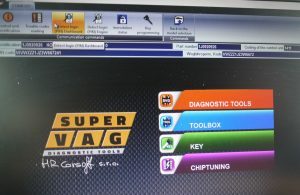 SuperVAG will connect to the vehicle. Select ‘remote control programming’ from the new page. A box appears asking how many remotes to program – we have selected 2 and then clicked yes. You are now told to hold down the open button on each remote you wish to program, 1 at a time but within 15 seconds. The screen counts down the time you have.Each time a remote is accepted into the system a beep will be heard from the dashboard. 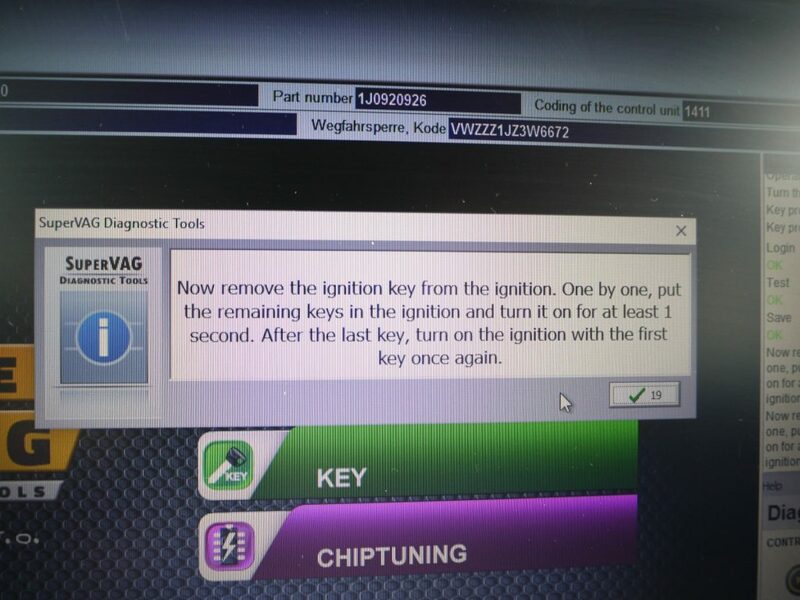 You are instructed to switch ignition on and off again to ensure program mode is exited. Remove the remote end of the flip key and keep it in your hand; then place the programmed key blade end into the ignition and switch the ignition on to position 2. Leaving the ignition on, close the door and lock it manually with the second key. Press the unlock button on the remote once and release it. Wait 5 seconds, now press the unlock button once again. Manually unlock the car with the 2nd key – open the door – switch off the ignition and remove the key. Note: to program a 2nd remote, at stage 3 and 4, press the remote unlock button twice for the second remote, 3 times for the 3rd remote and 4 times for the 4th remote – a maximum of 4 remotes can be coded to the car.